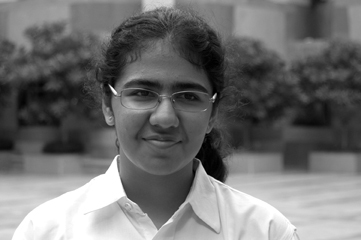 Brought up in Gurgaon, Preksha is part of the foundation batch of DPS Gurgaon. She is shy and an introvert, but pours her feelings out into fluid poetry. She started her reading with Nancy Drew and Roald Dahl, and then, it was difficult to keep her away from books. She says reading is her lifeline. When she opens a book, she doesn’t just read, she is transported into the world of the book, feeling sad when the protagonist cries, and elated when he triumphs. Although a poet at heart, she says she wants to be a doctor.